SoapStonz uses only Pure Alaskan Snow! We make our soaps carefully using only high-quality olive oil, coconut oil, and palm oil. 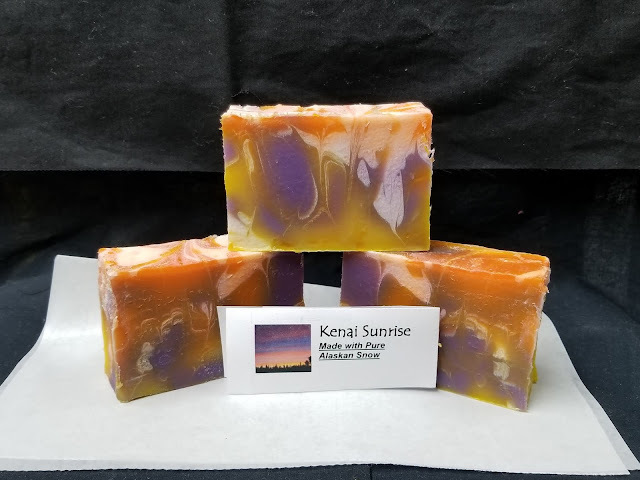 From this base, we add essential oils, fragrance oils and colorants to produce a product that lathers well and retains its fragrance while moisturizing your skin. Your skin is the largest organ of your body – treat it gently! Choose your favorite fragrance or try something new! We are confident you will be pleased with our product! If you have purchased from SoapStonz in the past, and do not see your favorite fragrance listed, please call and we can gladly fill your request! All orders are placed Securely through PayPal Checkout. A fresh, outdoorsy scent! Made with Vanilla Sandalwood and Baby Powder fragrance oils. A touch of honey with Aloe Vera, Vanilla and Cinnamon, and oats for a mild scrub. Fir Needle, Tea Tree and fragrance of Drakkar, mingle for a stimulating, antibacterial shower. The Bay Rum fragrance is a beautiful bar!! No cologne required. Blend of Mountain Rain, Rainflower and Lily of the Valley fragrance oils. Relaxation, relieves stress and headaches, and kills germs. Anti-depressant, improves mood. Our best seller!! 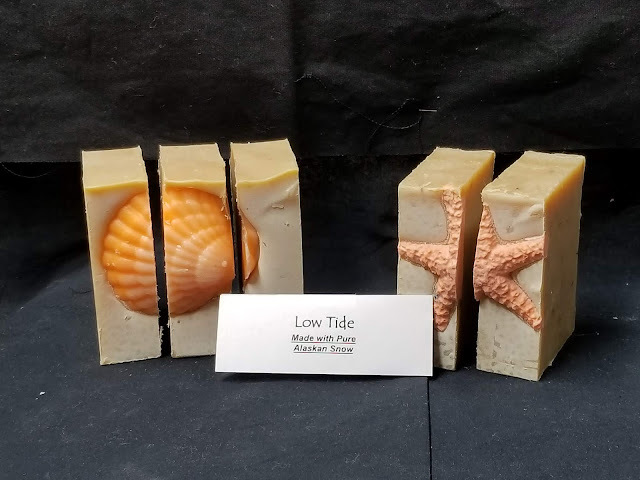 Cucumber and Cinnamon – smells nothing like low tide! The fragrance of Chai Tea - fragrance for the outdoorsman! Blend of Tea Tree, Wintergreen, Lavender, Patchouli, Cedarwood & Fir Needle, with cornmeal for a cleansing scrub after a long day on the trail. scent brings the outdoors inside! !